Arcadia is a residential neighborhood located between Chestnut Street and Princess Place Drive on 25th Street and 26th Street in Wilmington. This is an older community where construction began in the late 1920s, but development was slow until the late 1940s and early 1950s when the majority of the homes were built. Many of the older homes have been updated, but maintain the charming details of the years they were constructed in, like custom molding, arched doorways, brick fireplaces, and the original hardwood flooring. 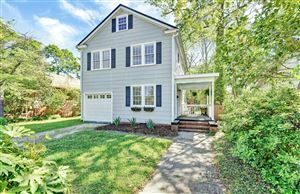 It's the perfect neighborhood for anyone who appreciates a cottage or bungalow style home, as well as the feel of Historic Wilmington. Click on the listings below to see pictures, features, amenities, school information, and more. Interested in viewing a home or have questions? Please don't hesitate to contact us. We can help you with this community or any other in the Greater Wilmington real estate market.